Is there anything more frustrating in life than trying to find a swimsuit for your holidays? Although we all come in different shapes and sizes all of us have been blessed with bulges, wobbly tummies, and saggy bits which can make shopping for a swimsuit a bit of a nightmare. How do you even begin trying to pick the best swimsuit for your body? Like many other women my body has been through a lot and the battle scars are there to prove it. Losing 9 stone has left me with permanent reminders of my former life and whilst I'm not ashamed of the way that I look I don't really want to be parading about in a teeny weeny bikini. George at Asda have been getting ready for the Summer holidays by researching the latest swimwear trends from around the world. I was interested to read that globally most woman are insecure about their stomach area and legs and did you know that worldwide the most popular swimwear is a full swimsuit or tankini? I've put together a little guide to hiding your bumpy bits this Summer and how to pick the best swimsuit for your body. No matter what your body shape we can all look fabulous by the pool! If you want to look cute and girly but don't fancy getting your tummy out in public the tankini is a great alternative to a bikini. With your tummy nicely tucked away attention is drawn to the smallest part of your waist meaning that the right tankini can make you look and feel fabulous. My personal favourite, I am a huge fan of skirted swimsuits. Annoyingly they can be quite tricky to find but if you're prepared to do some digging around you can find some beauties. I find skirted swimsuits more flattering than a standard swimsuit as the skirt detracts from your tummy area and also means that other "problem areas" like the very top of your legs and bum are more covered. I love this skirted swimsuit and have already placed an order! I love that swimsuits are back in fashion and it's great that you can now pick up colourful patterned suits that are on trend. Easily the most practical style if you enjoy swimming and a great way to ensure you're held in and feeling confident around the pool. Pineapples are so hot this season and this swimsuit will definitely get you noticed! 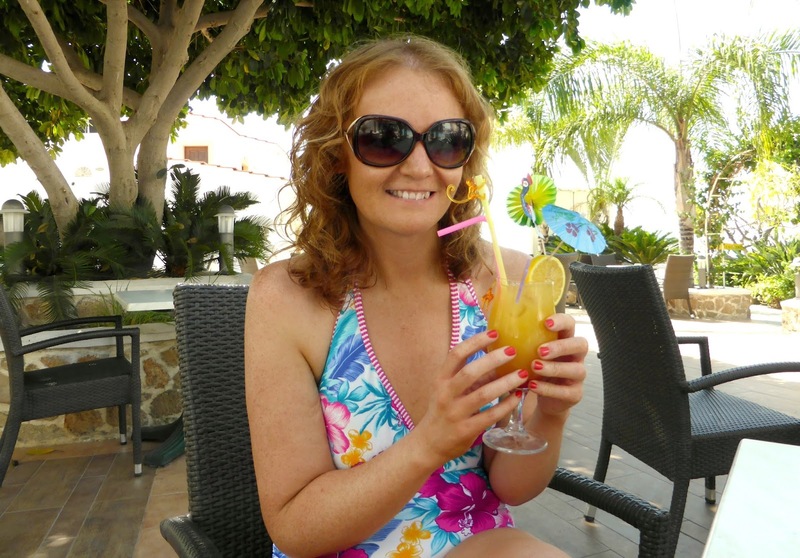 Of course if you want to wear a bikini when you're on holiday then go for it! I've seen gorgeous women of all shapes and sizes looking fantastic in bikinis around the pool. For those of us that are less body confident a kaftan can be a great way to wear a bikini but hide the bits we don't like. This embellished kaftan with super cute mini pom-poms is the perfect way to cover up when you're chilling out poolside. 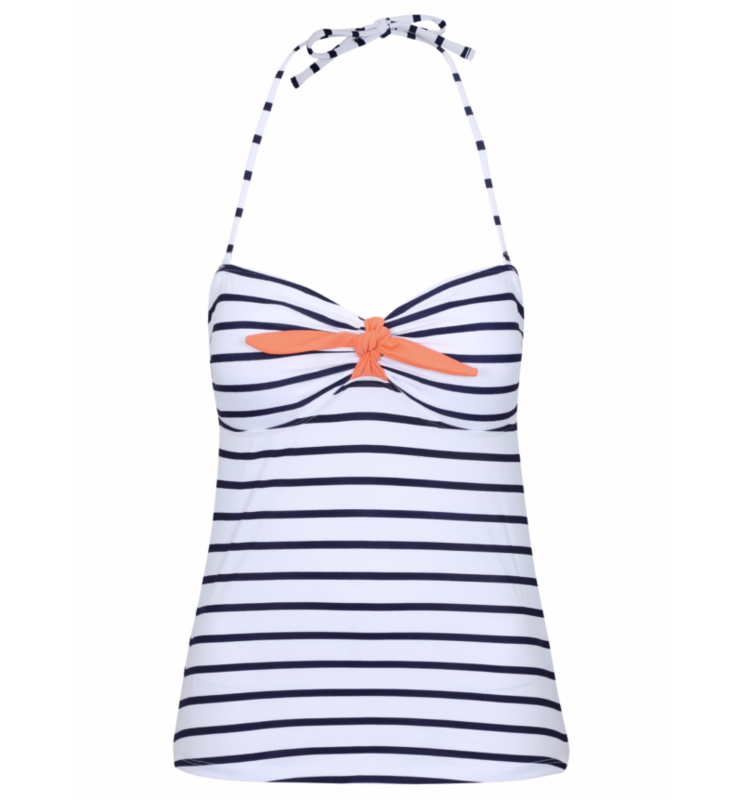 Make sure you comment below if you have any tips for finding swimwear this Summer - I'd love to hear them. This post was written in collaboration with George at Asda.